You could be excused for missing Tokelau on a map if you weren’t paying close attention. Situated in the Pacific Ocean, roughly halfway between New Zealand and Hawaii, Tokelau’s three atolls, covering about 12 square kilometres, are home to around 1,500 people. While it is ranked as the world’s smallest economy, it is a world leader in other areas. Tokelau is the world’s first 100% solar-powered nation, and its country code top-level domain (ccTLD) .tk is the world’s most popular, with over 31 million names registered (thanks to its free registration model). Now TeleTok — Tokelau’s national telecommunications provider (and an APNIC Member for eight years) — is looking to migrate its network to IPv6, which will likely send them to the top of the world IPv6 adoption rankings. 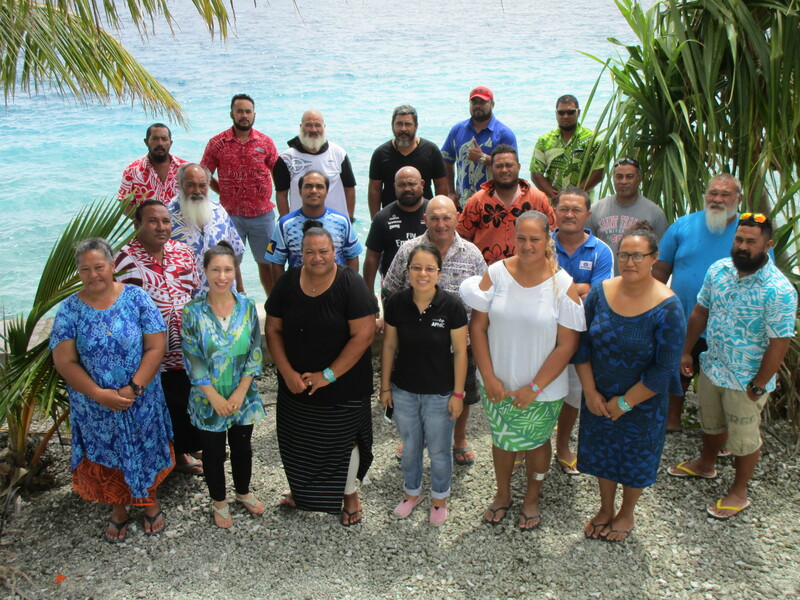 To help prepare for the migration, APNIC Network Analyst Jessica Wei and I traveled to Tokelau to provide training on routing, IPv6, and security to a group of TeleTok and government employees. Trainers and attendees of the IPv6 workshop and network security tutorial in Fakaofo, Tokelau. Why is Tokelau so keen to adopt IPv6? The answer lies somewhere between opportunity and future potential, prompted by the impending arrival of the Southern Cross NEXT subsea cable. The NEXT cable will span the Pacific Ocean from Sydney to Los Angeles, with spurs connecting the 60Tbps backbone to Fiji, Tokelau, and Kiribati along the way. The cable system is currently under construction and is due to be completed in March 2020. 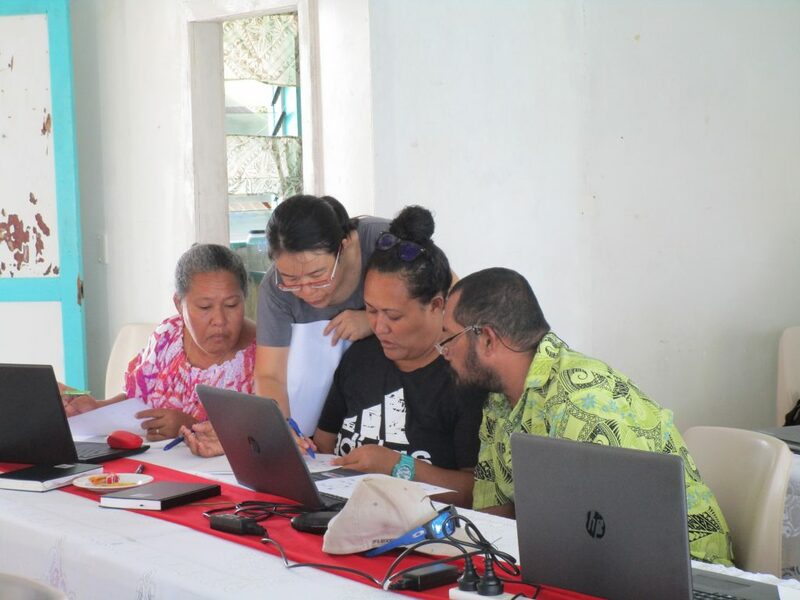 TeleTok CEO, Tealofi Enosa told ZDNet that connecting to NEXT will enable applications like telemedicine and remote learning for residents of Tokelau. The arrival of the new cable is also expected to make Internet connectivity more affordable for consumers who currently rely solely on expensive satellite links. Tealofi, previously CFO of Tuvalu Telecom, appears intent on ensuring Tokelauans have a robust ICT infrastructure and access to opportunities provided by digital connectivity. Under his leadership, TeleTok launched its 4G LTE mobile network early last year, after choosing to bypass previous 2.5G and 3G proposals. Given that NEXT will significantly alter TeleTok’s network topology (goodbye managed satellite links, hello fibre-to-the-island) and increase its exposure to the public Internet, the government-owned telco is taking the opportunity to optimize its network design and ensure that network security is up to scratch. The work will also involve the upgrade and replacement of hardware, so TeleTok is taking the opportunity to commence their migration to IPv6. The journey from APNIC headquarters in Brisbane to the atoll of Fakaofo took around 60 hours in total, including a flight from Brisbane to Auckland, NZ, then another flight from Auckland to Apia, Samoa. We then waited to board the Mataliki, a ferry service that runs fortnightly and takes around 30 hours to reach Tokelau. We spent a week and a half in the Fakaofo village with a group of 24 registered attendees. All three atolls of Tokelau were represented, including TeleTok staff, and members of local councils and government. The training sessions began by focusing on routing concepts, followed by an introduction to IPv6 before combining the two. The training involved theoretical and practical configuration exercises, which all attendees completed successfully. The IPv6 and routing training was complemented by a network security tutorial and a final two days of Technical Assistance, involving Q&A sessions and technical consultation. APNIC Network Analyst Jessica Wei assists attendees with practical exercises during IPv6 training. With the new local expertise safely in hand, we embarked on the 60-hour journey back to Brisbane, leaving the 24 freshly trained attendees to lead the country in preparing for a big-time network upgrade and the new opportunities it will present. Contact the APNIC Training team to discuss training and Technical Assistance opportunities in your economy. Impressive dedication and best practice effort to lift Tokelau to the next level. An example to far far bigger nations that cannot even spell IPv6.